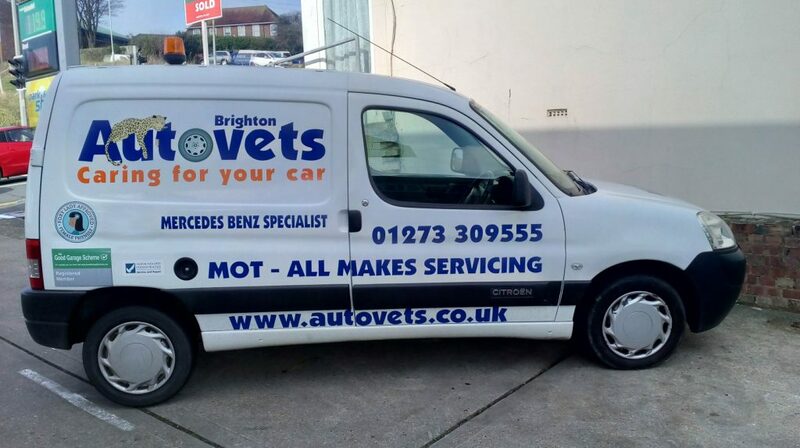 Autovets Brighton is a Class 4 MOT centre based in Woodingdean, adjacent to the City of Brighton and Hove. We are a team of experts in Motor engineering and you can rely on us to give your vehicle the perfect attention it deserves. We provide you with a Manufacturer’s service schedule attached to your invoice, and use genuine manufacturer’s parts with quality Mobil Oils and lubricants of the correct grade for your car. Our prices are competitive and we are renowned for our friendly personal service. We are on the edge of Brighton, so you don't have the inconvenience of trying to drive through the busy town centre. We have a comfortable waiting area where you can view your vehicle having it's MOT whilst enjoying a hot drink. The Petrol station adjoining us has a Convenience Store if you'd like to get a newspaper to read whilst you're waiting. If you prefer you can enjoy our Widescreen Television, or our variety of topical magazines while you wait. There are also a selection of toys for small children to keep them entertained. If you don't want to wait, you can leave your vehicle with us for the MOT and it will then receive a *Free valeting service. If you book an MOT and Service at the same time, we will give you a £10 discount on the overall price. Autovets is a Trading Name of Woodward Automotive Ltd.